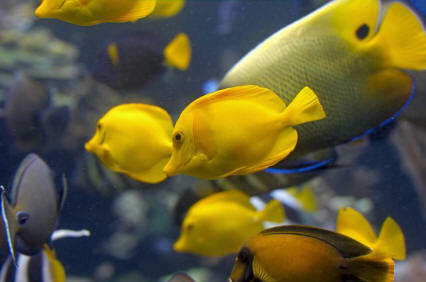 Males of this fish are very aggressive to each other, fighting, and possibly death will occur. 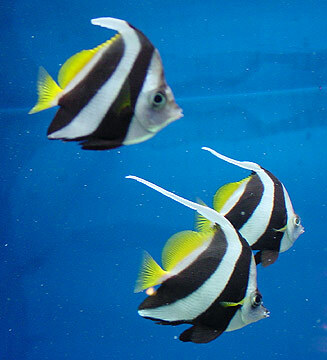 It is recommended to keep several females with one male. 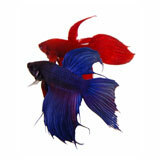 Bettas may be kept in a community tank as long as the water conditions are met, and if no aggressive or fin-nipping fish are present. Please do not keep this fish in small bowls as you see often. They are living creatures and they deserve enough room to live. Breeding is rather easy. The male constructs a bubble nest at the water s surface. 400 - 500 eggs are laid and fertilized and put in the nest by the male. After spawning the female should be removed, or the male will chase her and kill her. The male cares for the eggs but when the eggs hatch he should be removed as well. When the fry is swimming free you can start feeding with microworms and egg yolk. Later the fry can be fed with fine crushed dry food. Like all labyrinthfishes, the Betta has an auxiliary breathing apparatus (labyrinth) that allows it to breathe air at the water surface and survive in small tanks or containers.